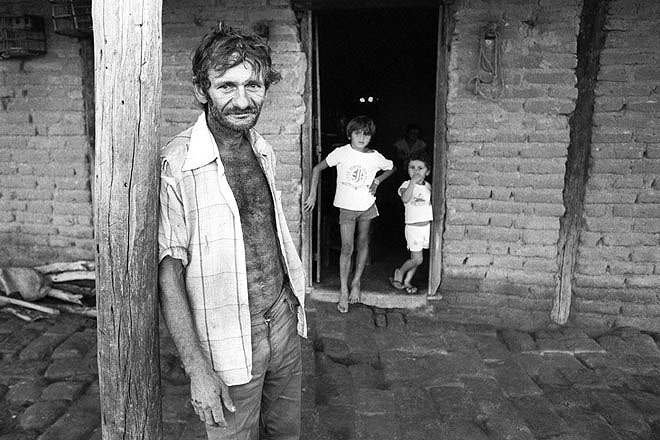 Jose Gomez Pinheiro, a farmer. 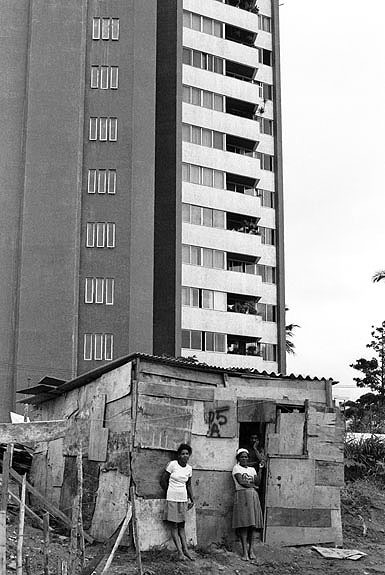 State of Ceara in the northeast. 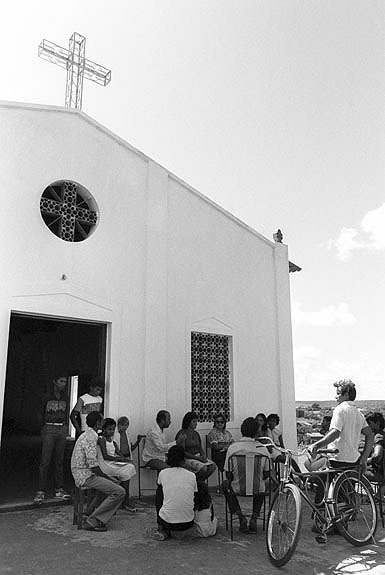 Members of a community meeting in the shadow of a church. 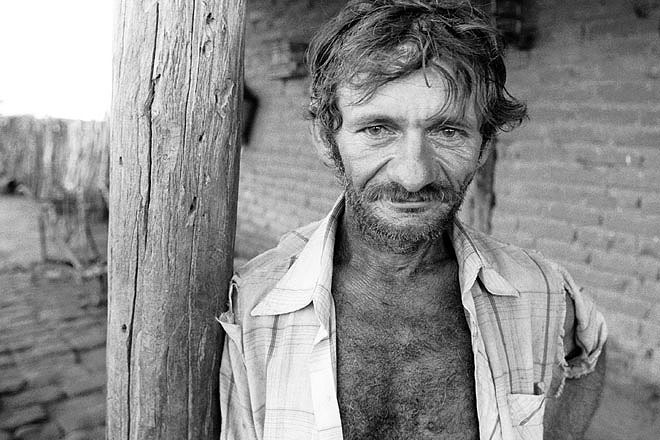 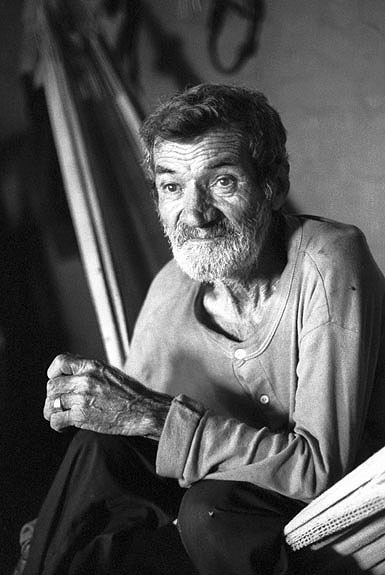 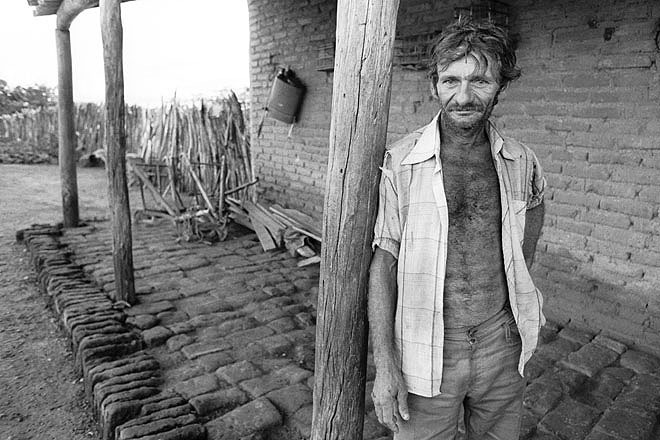 Old farmer in the Northeast of Brazil. 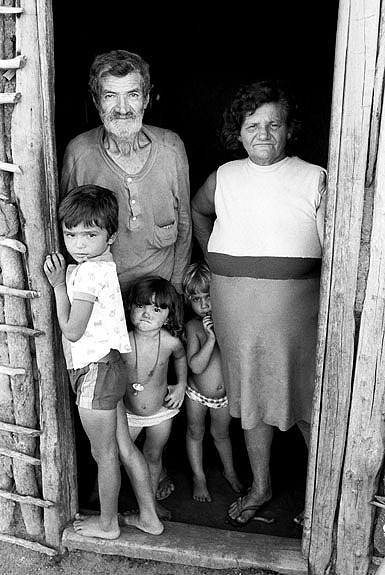 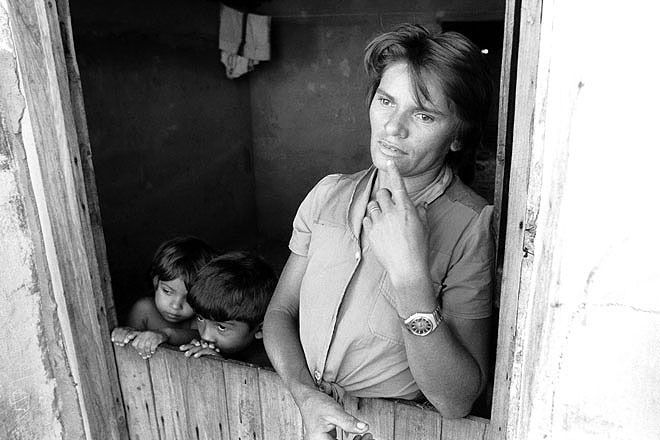 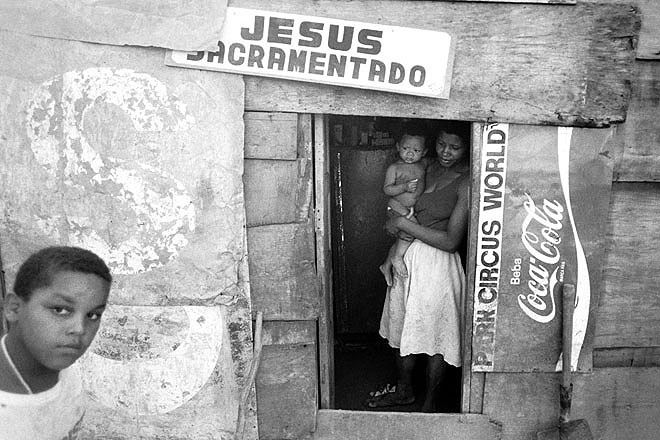 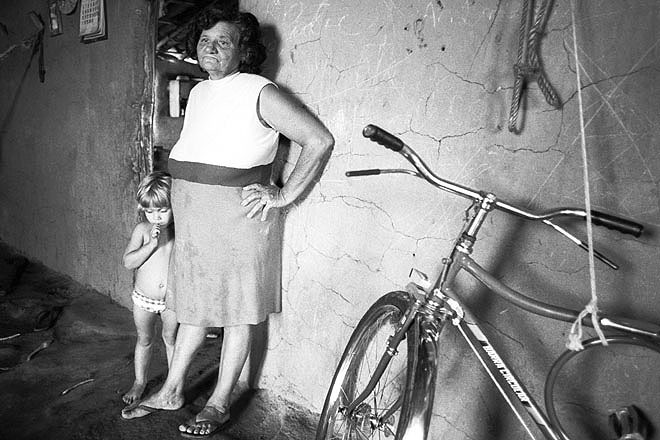 A poor peasant family in their modest house in the village of Monte Grava in the Northeast Brazil. 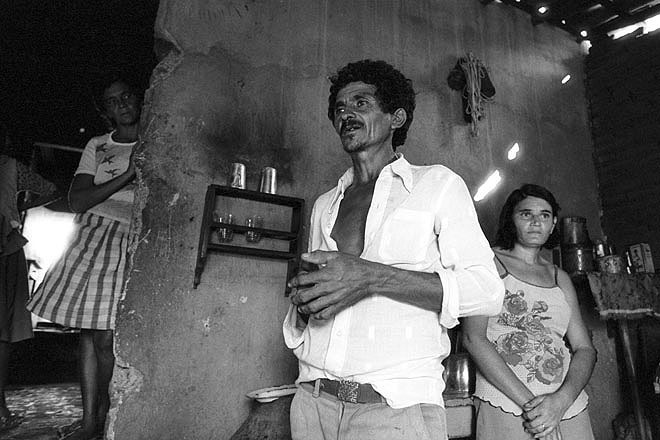 State of Ceara in northeast Brazil. 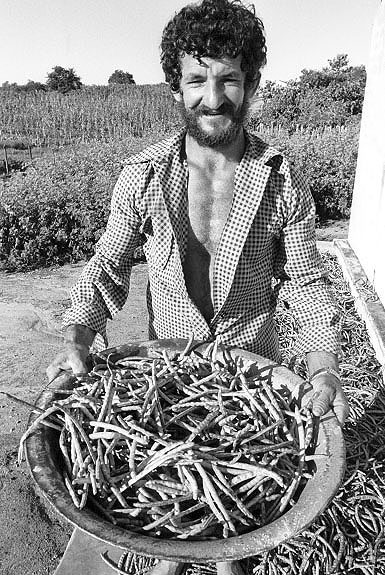 Peasant proudly showing his first bean harvest after the drought. 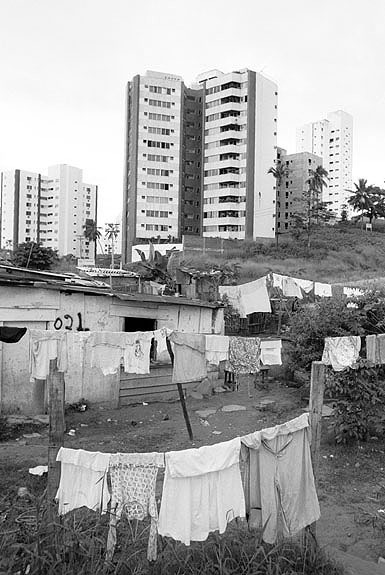 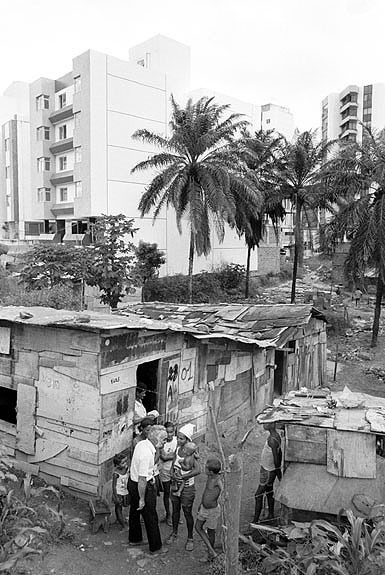 Favella of Cai Duro contrasting with modern buildings in Salvador. 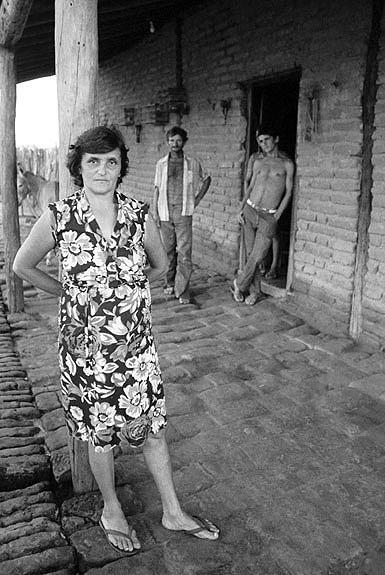 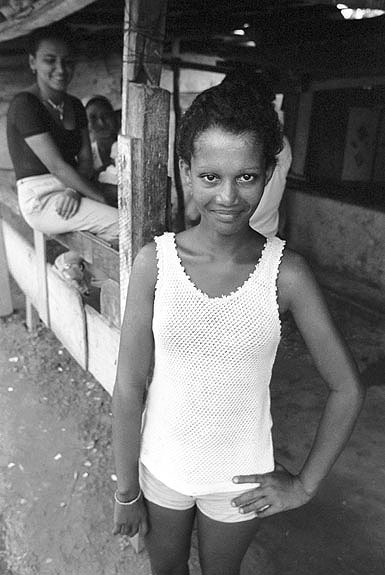 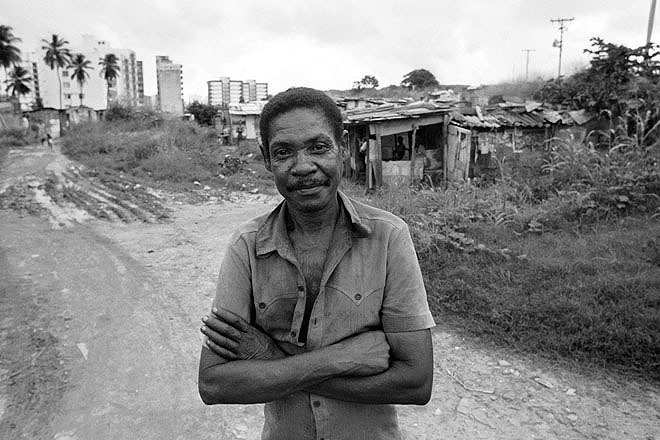 Favella of Cai Duro on the outskirts of Salvador. 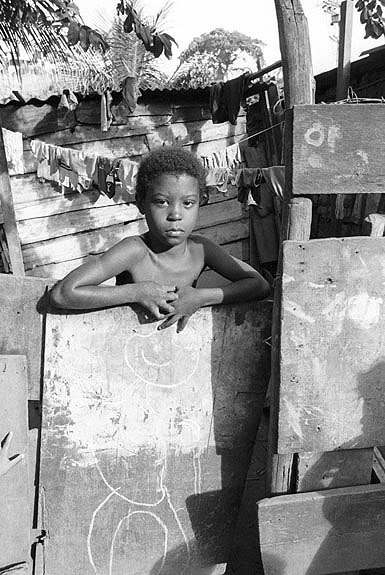 Young boy in Polemica a favella on the outskirts of Salvador. 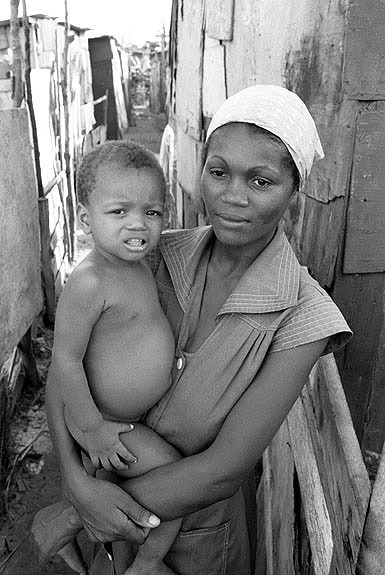 Mother and child in Polemica a favella on the outskirts of Salvador. 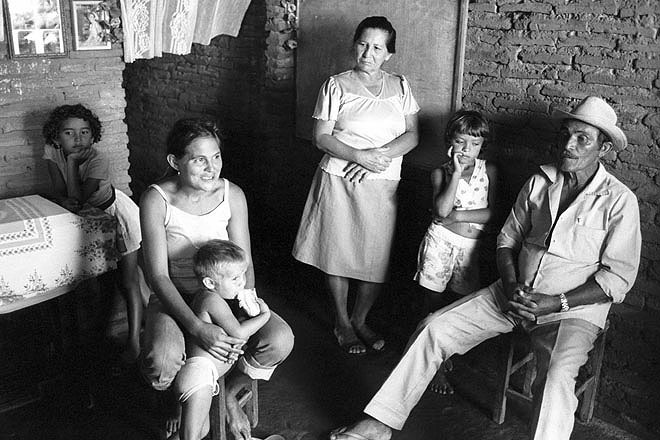 Family in Polemica a favella on the outskirts of Salvador.